You are wise to check out CES ! CES is an excellent, well tested natural treatment for anxiety, depression and insomnia. This technology has been around since the 1950's, is thoroughly researched as safe and effective with more than 40 years of clinical research and is approved by the FDA to treat Anxiety, Depression and Insomnia. Due to the nature of the standard medical culture in the Unites States, this technology is far too unknown and therefore out of reach to many people whose lives would really benefit from it. There are several CES machines on the market today and I've spent quite a bit of time researching the different options, talking with company reps as well as owners to find the best fit for you. I chose the CES Ultra because it was the unit with the most research and effectiveness at the most affordable price. There were other units like the Alpha-Stim device that we tried here in Denver and liked, and while it looks fancier and has some nice features, it was also double the price which makes it more prohibitive to actually bring into people's lives. CES Intro From Leslie Huddart L.Ac. 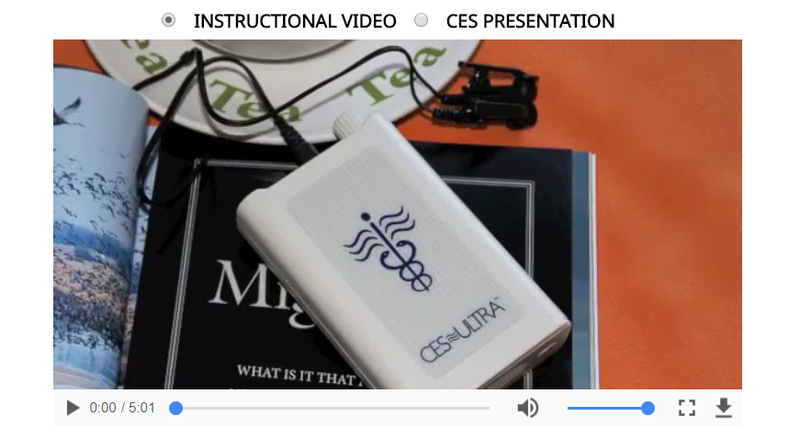 You can watch the basic info and instructional video directly on the CES Ultra website below.